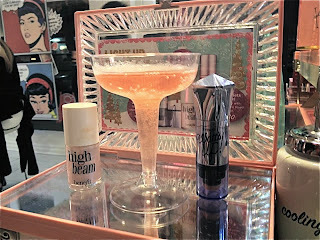 I’m super late on posting this, but my sister and I went to Birchbox and Benefit’s Brow Wow event in San Francisco in October. We were so excited to go. The ticket to the event came with a brow arching, delicious treats, bubbly pink champagne, makeup tutorials and a $35 credit towards anything in the Benefit boutique. I love that the Benefit brand is based in San Francisco and adore the labeling that they use on their products. 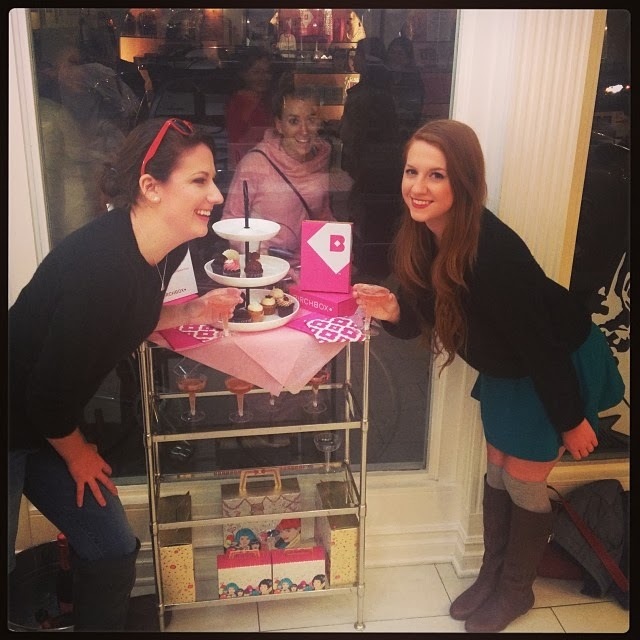 The event had talented Benefit makeup specialists that showed us how to look great using Benefit’s broad line of products, including their new product Gimme Brow. 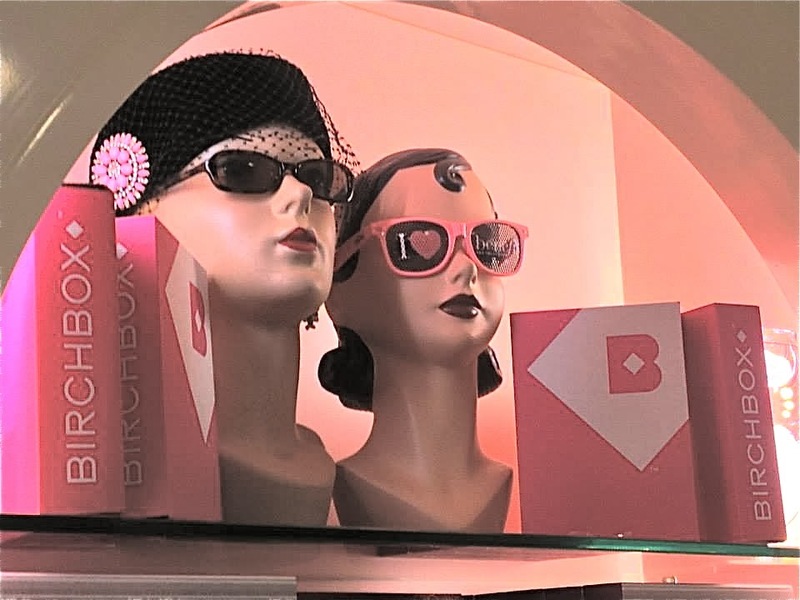 They demonstrated how to turn thin, sparse eyebrows into bolder and fuller looking brows. 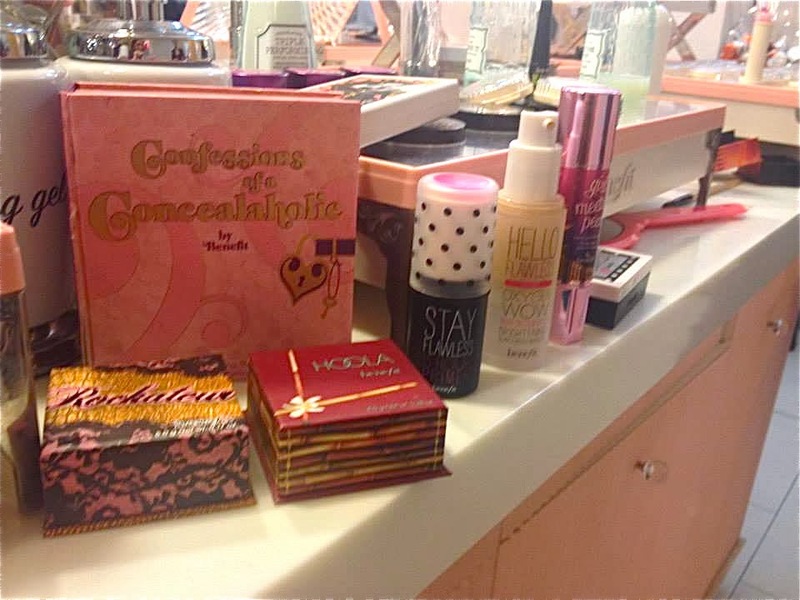 At the end of the night, I narrowed my choices down to two products. 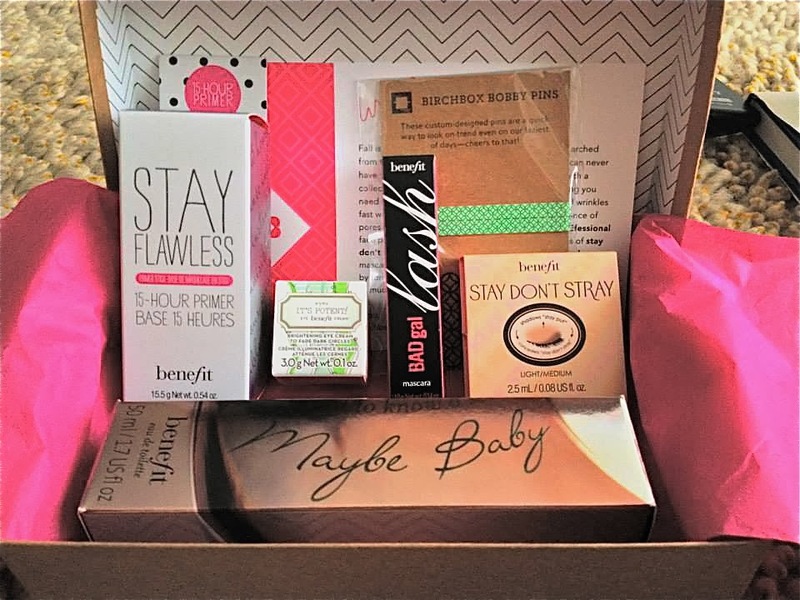 I decided on the Stay Flawless 15 hour makeup primer and a bottle of their Maybe Baby perfume, a scent I used to adore in high school. My sister decided to splurge a bit more and bought Benefit’s ooh la lift, an under eye brightener, That Gal, a brightening face primer, and The Professional, another PRO balm primer. 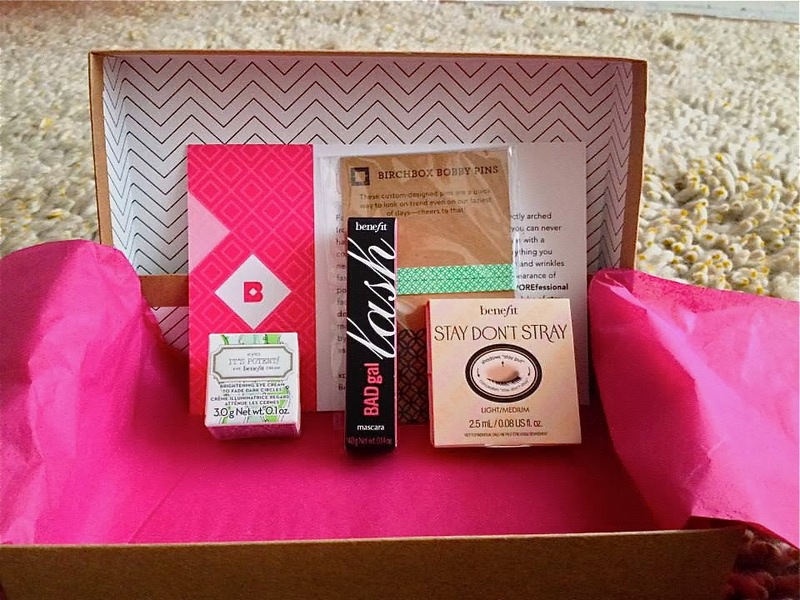 Along with our Benefit goodies, Birchbox sent each of us home with an amazing Benefit inspired Birchbox filled with deluxe sample goodies! 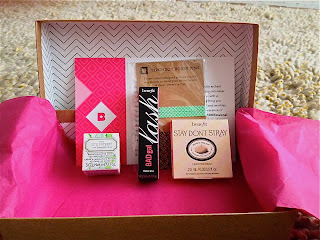 Each box contained a set of Birchbox bobby pins, a deluxe sample of Benefit’s Stay don’t Stray eye primer, a mini Bad Gal lash and a deluxe sample of It’s Potent eye cream. All in all, it was an awesome night. Thanks Birchbox and Benefit for having us, we both had an amazing time!